Cozy Jamble at UCB TONIGHT! Browse: Home » Cozy Jamble at UCB TONIGHT! Hey friends! 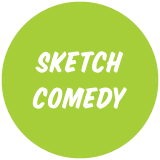 Tonight at 6:30 at UCB Franklin my class has our 301 Sketch Graduation Show! There are laughs to be had, and good times to experience — come and see it!